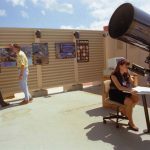 Big Blue Telescope – Alaska Applied Sciences, Inc. 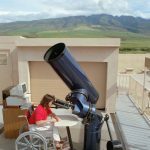 This computer-guided, Coude-Cassegrain, Springfield mount 16″ telescope was designed by Brent Gordon, San Diego, for the Hyatt Regency Maui’s “Tour of the Stars” guest astronomy program. 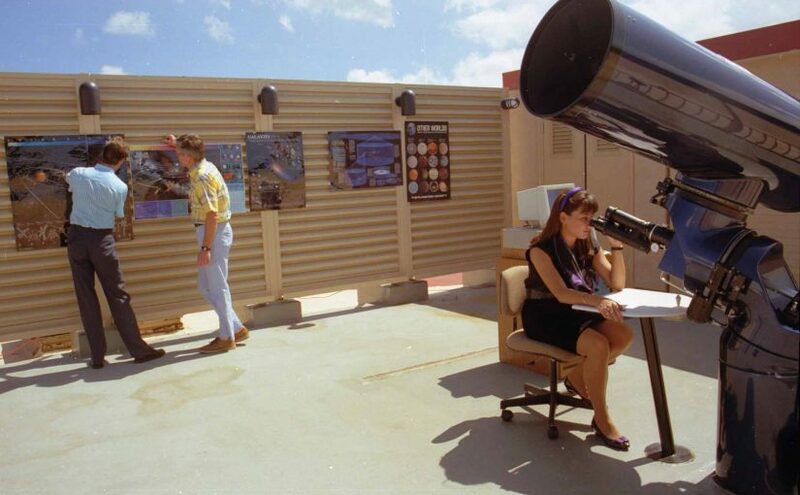 It was installed on the roof of the Lahaina Tower in 1991, serving nightly until the computer guidance system failed in 2004. 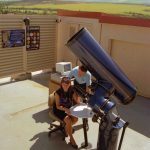 “Big Blue” was replaced by a Meade 16″ telescope. 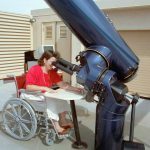 It remains one of the world’s few wheelchair-accessible telescopes, because the binocular-eyepiece viewer remains in a comfortable, stationary position as the Springfield mount, with four reflections, scans the full sky. The Hyatt “Tour of the Stars” success continues. AASI purchased “Big Blue” from the Hyatt in 2005 and upgraded the computer guidance system to state-of-the-art. 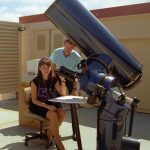 It remains crated at New Mexico Institute of Mining and Technology, Socorro, NM, awaiting the perfect opportunity to install it in a new, user-friendly, wheelchair-accessible observatory.